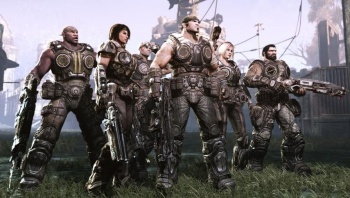 The Gears of War games create a "vortex" that pulls people in, says Epic's design director. Epic's Cliff Bleszinski says that he is "itching" to start work on something new He's not exactly sure when he's going to get that chance, however, as he says that right now, Epic's North Carolina HQ is firmly focused on the Gears of War franchise. "When we finished Unreal Tournament I wanted to do another game. It's just a matter of opportunity and figuring things out." Bleszinski said that studios like Chair and People May Fly, which are both Epic subsidiaries, could work on other projects because they were isolated from the "Gears Vortex." He hoped to find a way to separate the Gears of War team out a little in the future, leaving some people free to work on other projects. Bleszinski also said that Epic had a few new ideas "incubating," although he obviously wasn't going to go into specifics, and hoped that the future of gaming would be more interconnected. "What I would like to see moving forward is if we were to make a new IP or a new Gears game, I would like to figure out a way to get some sort of ancillary thing that ties in with mobile that ties in with the game directly," he said. "The future of the game is always with you. And those who are the platform holders, such as Sony and Microsoft and Nintendo, hopefully will understand that ... to open their mind and have an iPad app that talks to Xbox, that talks to the PlayStation. So then maybe there's a mini-game that I can do when I'm in the pub... things like that that contribute to the greater good. That's where things need to go," he continued. It's not all that surprising that Bleszinski is ready to make something new: after living and breathing Gears of War for over five years, a fresh idea must be incredibly appealing. It will be interesting to see what Bleszinksi - who, for many, is practically synonymous with Gears of War - comes up with in the future.